Create awesome videos & movies with HitFilm 3 Express, a free download for Mac & PC. 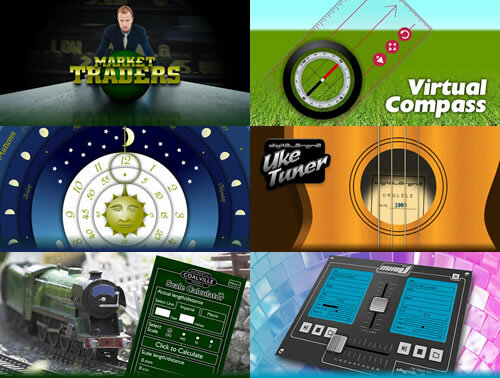 A powerful video editor which includes 120+ 2D & 3D visual effects. Autodesk® Composite is an interactive solution for film compositing. It brings compositing and visual effects tools to high-end 2D artists working at HD, 2K, 4K or above, in film, television, and design. It features a full High Dynamic Range (HDR) pipeline, next-generation 3D compositing, high performance interaction at extremely high resolutions, and advanced rendering. Lightworks is our full-featured editor with all the power, performance and features you would expect, with support for all major professional broadcast formats from SD, HD, 2K and Red 4K files. We believe that to make great work, you need great tools. And editing is no exception. Our mission is to give everybody access to the most affordable professional non-linear video editor available. Offering the same tools that professionals around the world have been using every day for the last 20 years to edit feature films, dramas, news and sports. Lightworks gives you everything you need to make your next movie look great! MoviePlus is an ideal software package for beginners, but if you’re not a beginner don’t write it off; it’s also capable of some unexpectedly sophisticated results. Import multiple file types from a variety of video cameras and edit with ease. Add pan, zoom and transitions to give your movies a professional finish. Enjoy multiple export options and save movies for viewing online or sending via email. Wax is a high performance and flexible video compositing and special effects software. The idea for Wax is to be very general purpose and flexible in video compositing and effects, so that you can compose your dream video sequence with ease everytime. Wax can create 2D & 3D special effects and can work in two modes - as a standalone application which would appeal for home users/beginners, and as a "plug-in" to video editors/NLEs which would be more useful for professional editors. Currently Wax can work as a plug-in with Sony Vegas®, Pure Motion EditStudio and Adobe Premiere® and work for integrating with various other NLEs is in progress. As well as being a powerful 3D modelling and animation tool, Blender also supports video and 3D compositing, as well as motion tracking/match moving for superimposing 3D into live action video, along with other advanced video effects. Though advanced techniques such as these are not straightforward, Blender is supported by high quality tutorials and an active user community. With CineGobs keyer you can key out backgrounds and export the video including transparency to your other software. The software provides a variety of advanced tools including: color difference keyer with 4 different algorithms; detail matte to add extra details; chroma keyer; hue, Shadow and Highlight mattes; difference keying; chroma smoothing; mattes which can be blurred and shrunk/eroded; rotoscoping; creation of garbage mattes and additive mattes with interpolated keyframes; spill suppression with different algorithms. The software imports AVI video, AviSynth files & image sequences (PNG/JPG and BMP) of any size. Source footage can be deinterlaced using a range of methods. Processed footage can be exported as AVI files or image sequences with alpha, premultiplied with alpha or alpha only. Exported files can then be used in other software such as Lightworks or Blender to provide matte, mask or overlays for further processing and effects. FFmpeg is an audio/video conversion tool. If your video editor or player is struggling with an obscure codec, usually manifest by hearing audio but seeing no picture, FFMPEG can often do the job. Take care with the settings which allow you to decide for which video types your system should use FFMPEG and for which to use the default system codec.